Many popular websites like Netflix and Hulu have regional restrictions. However, when you use an effective DNS proxy or VPN, you will be able to easily bypass these restrictions, so you can stream and download all your favorite content. 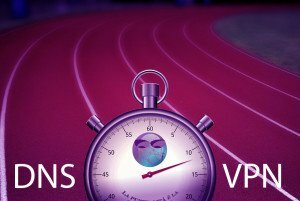 Speed: -A good smart DNS will enable you to stream and download content quicker than VPN because DNS systems only reroute specific parts of traffic from its servers. Compatibility: – VPNs use complex systems and encryption to create a tunnel between restricted content and your device whereas DNS systems don’t. This is why DNS proxies are more compatible with devices like laptops, mobiles and smart TVs. Easy to install: – DNS systems don’t need complex software installation or manual configurations needed to stream content from websites that are blocked. Most setups take under 5 minutes. Less expensive: – DNS systems are more affordable than and will cost you less than VPN systems. At VIPDNSCLUB, we provide you with several smart DNS plans that will enable you to access any content you want, no matter where you are. Our sophisticated and vast network of servers will ensure you always get the fastest speed possible for your connection. Sign up today and be covered by our 30-day money back guarantee!